I was not having the best of luck at first with POF and after a week or so I decided I would delete my account. When I went to delete it I had a message from Marty and it caught my eye. I messaged him back and everyday I looked forward to talking to him. We talked online for a few weeks then on our phones. A month after our first conversation we met! I knew from the moment I saw him and was in his arms that I was in love. I knew I loved him from our conversations but he confirmed that when we finally met! We went on a date and after a while he met my children! We have had a beautiful relationship and have an amazing family! It's been almost two years and we now have big plans for our future! In March this year, on Mothers Day Marty drove all the way to the beach where I was with the kids for their competition (Marty had work and could not come)! He ended up getting the time off and surprised us early in the morning by coming there! He had drove all night to be there. 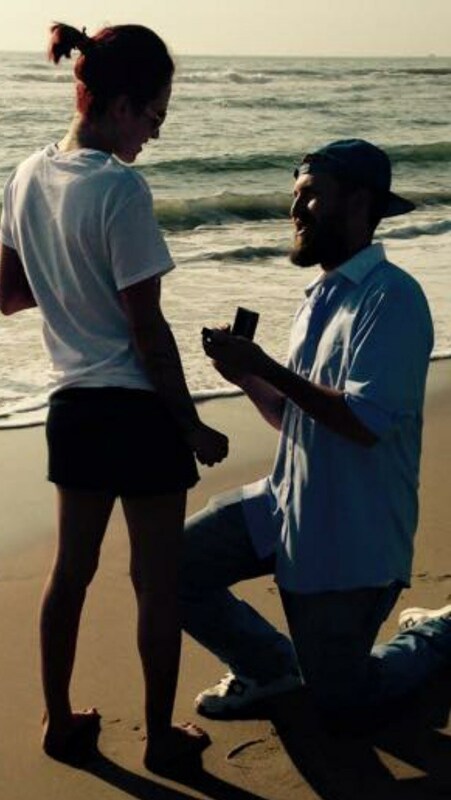 We walked on the beach, I was so ecstatic that he was there! And then in the middle of a conversation he got down on his knee and asked me to marry him! I will never forget this moment, or the first moment I walked up to him and into his arms! I can never say thank you enough to POF! But thank you for helping me find my soul mate, best friend and man of my dreams!